Did you used to say that phrase when you were little or when you didn’t think it was appropriate to use the actual f word you wanted to say? No? Me neither. We are such rebels. For the last week, my elves, Honey and Barley, and I have been hard at work in the kitchen tinkering with chocolate and peanut butter (the elves only get to taste test the peanut butter) and the perfect ratios and our fudge swirling techniques and and and! See? Too much sugar. And then he giggled (yes, giggled) some more. Do you ever eat something that’s so over-the-top delicious that it actually makes you laugh? That’s what happened here. What’s really exciting to me in addition to the obvious chocolate and peanut butter bliss, though, is that this fudge is made from simple, whole foods: raw cacao powder, unrefined coconut oil, peanut butter, and pure maple syrup. No processed sugars or weird condensed milks and butter substitutes. Just real ingredients, a couple of minutes of mixing, and lots of love. For those of you who told me that your favorite fudge involves hefty doses of peanut butter and chocolate, ask and you shall receive! This recipe is for you. 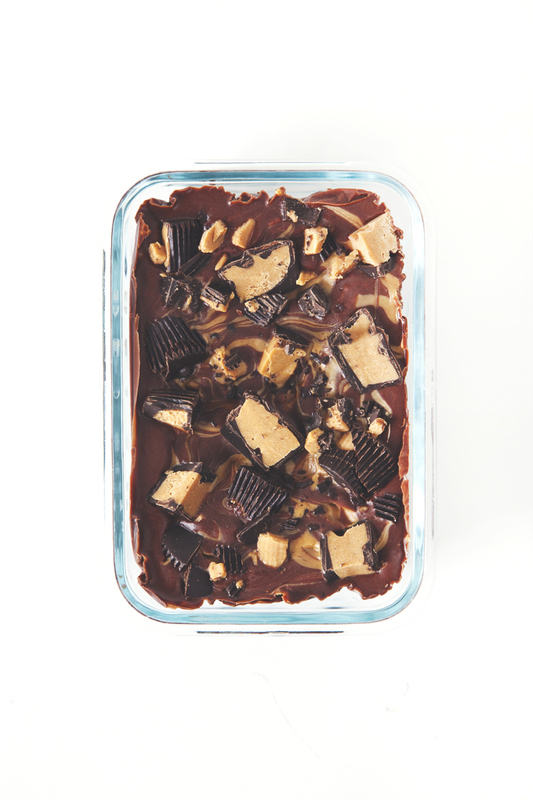 Dark chocolate fudge rippled with a thick maple peanut butter swirl, then topped with loads of chopped dark chocolate peanut butter cups. 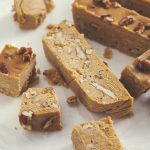 This vegan fudge is over-the-top decadent, all without processed sugar or dairy. Line a 4" x 8" baking dish with plastic wrap and set it aside. Blend all of the chocolate layer ingredients together in your blender until smooth. Transfer the mixture into your prepared pan and use a spatula to smooth out the top. 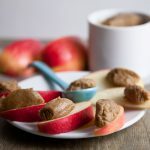 In a small bowl, make the peanut butter layer by stirring together the peanut butter, maple syrup, and salt. 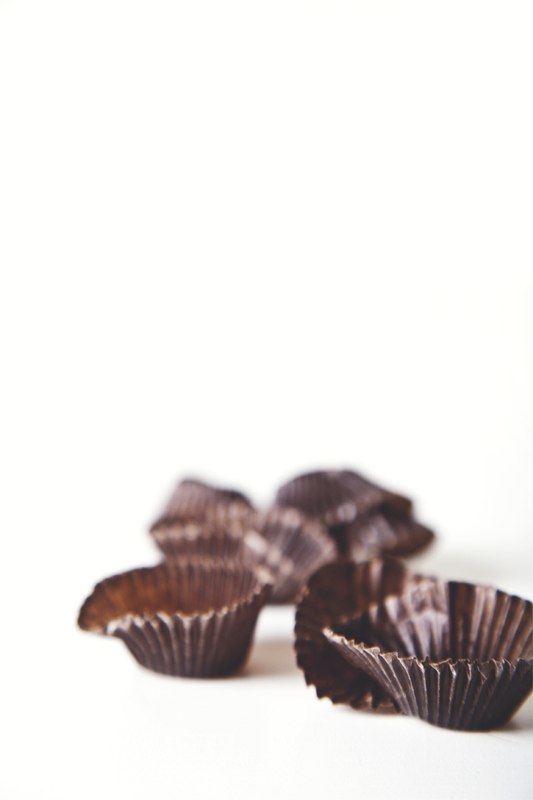 Pour the mixture on top of the chocolate layer and use a knife to swirl it throughout the chocolate base. Sprinkle the chopped peanut butter cups on top. Freeze for 1 hour, or until completely solid. 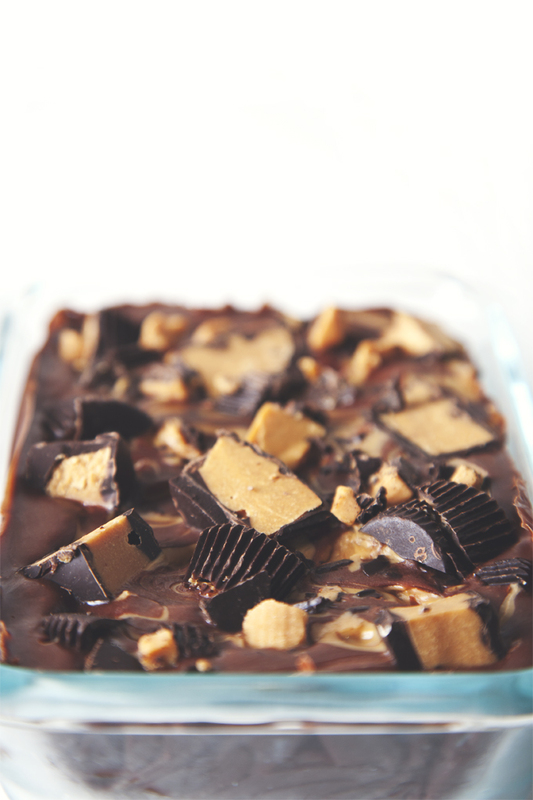 Slice the fudge into squares and enjoy! Leftovers should be stored in a container in the freezer. 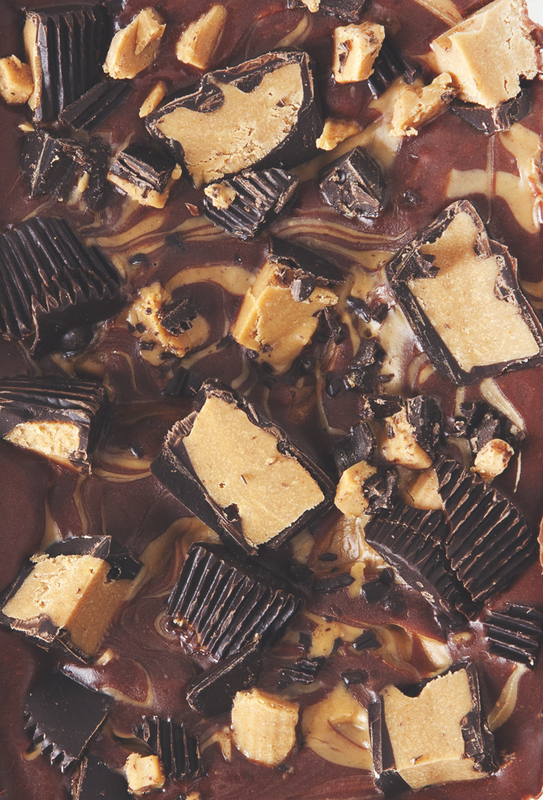 I hope you find this fudge so dreamy it makes you laugh…or curse. Oh, fudge! Now please come over and help me eat it. 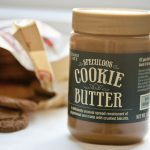 Filed Under: Nut Butter, Other Desserts, Winter Holidays COPYRIGHT © 2019 Amanda Maguire. All Rights Reserved. you are celebrating holiday is a true fashion!!! love those chunks. 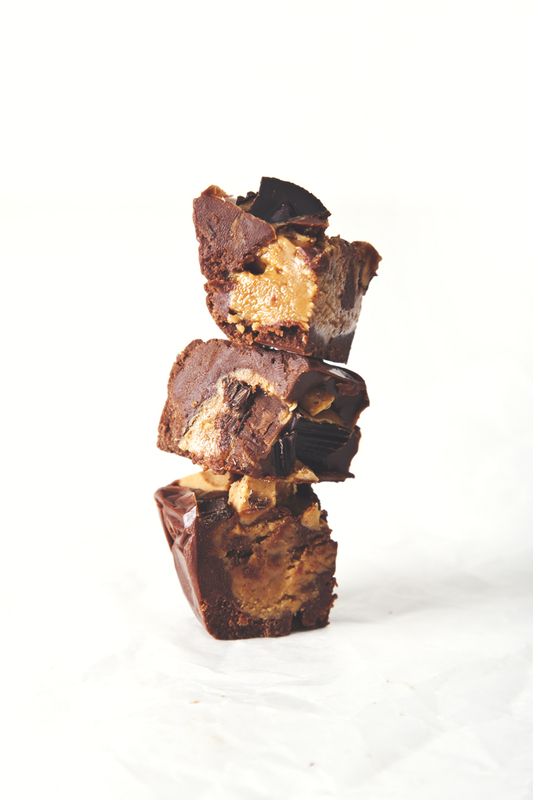 O wow….this is chocolate peanut butter heaven! It doesn’t get more chocolate peanut butter-y than this! I’m on my way! The peanut butter cups on top are a genius addition! Thanks, Cadry! I love the contrast of the smooth fudge and the bite from the chopped pb cups.